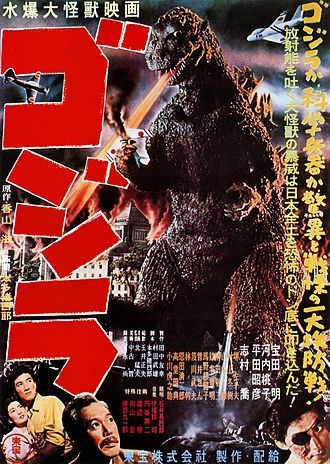 1954’s Gojira (the Japanese name for Godzilla, and not some cheap knock off of the Godzilla licence) if the first appearance of Godzilla in film, and it’s a good one. A Japanese film, through and through, Gojira tells the tale of an ancient beast, a creature of legends, that has been released from it’s lair beneath the ocean when it’s home is destroyed by atomic tests being conducted in the Pacific ocean (this is the early to mid-1950s, after all). At first a few boats go missing with no clues. When a few survivors are found, they speak seemingly gibberish about the ocean exploding. Seems only an old and grumpy man, knows what’s happening when he starts talking about the old legends of a giant lizard beast that would emerge and wreak havoc, and how they used to appease the beast by setting the occasional girl adrift on a raft for the creature’s snacking pleasure. Finally enough sightings and reports of the creature start coming through that a scientific research team is put together to study the beast. Once they discover that Godzilla is real, it’s then up to the military to destroy Godilla, who is now working it’s way towards Tokyo. As usual, (though not “as usual” for the audiences of 1954), traditional tactics do nothing but piss the monster off, and just causes more destruction. It’s not until a physically and emotionally scarred scientist is convinced to use his discovery, a device that destroys oxygen and liquefies living flesh, that Japan has even a slim hope of surviving the monster’s attack. Gojira is as good as an introduction to a movie beast as any I’ve seen. The creature design has proven solid, as this 1954 Godzilla still looks like the same Godzilla that you would find in the 60’s,70’s and beyond (except for that crappy American Godzilla movie). Also, the creatures iconic roar is there, right from the start. 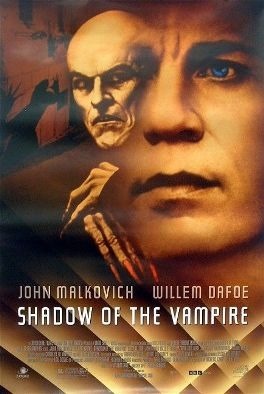 It’s also interesting to watch this film with the knowledge that this was made in a Japan that is very different from today’s Japan. This is a Japan that was still healing from a World War that almost decimated them. The war is mentioned, and the testing of nuclear weapons are highlighted as a bad thing. If you like Godzilla, then you have to watch this film. If you are unsure if you like Godzilla, then you have to watch this and a number of other Godzilla movies if you really want to decide if you are a fan or not. I know I am. So this week is turning out to be pretty good week for movie watching for me. 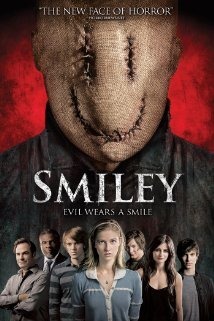 Three days in and so far three good movies! 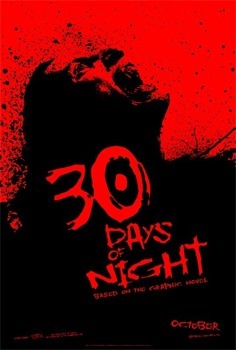 30 Days of Night tells the tale of a Vampire outbreak in the little Alaskan town of Barrow, during the 30 day polar Night (in the Arctic, there is a period each Winter where the sun sets and does not rise again for 30 days, due to the axial tilt of the planet Earth). A great time for light fearing creatures of the night. Just before the beginning of the long night, strange things start to happen. Peoples cell phones are going missing, and all means of escape from town are either vandalized or destroyed (including dog sled). Once the night hits, it gets weirder when the town’s power is cut. Investigating, the Sheriff, Eben Oleson (Josh Hartnett), discovers that the crew at the power plant have been brutally murdered and the plant vandalized. You see, the Vampires have planned for this night… This is going to be a gory, un-dead versus the unsuspecting soft, humans. Of course there is the hiding to stay safe while one by one the survivors numbers shrink situation – like there is in almost all these movies.